Lita Epstein excels at translating complex financial and political topics critical to people’s everyday lives. Building on her personal experience as a press secretary for a U.S. Congressman and her analytical skills developed as she completed her MBA from Emory University’s Goizueta Business School, Lita helps people explore difficult financial and political issues. Currently, Lita focuses on business and personal finance books including Reading Financial Reports for Dummies, Trading for Dummies, Bookkeeping for Dummies, Complete Idiot's Guide to Accounting, Complete Idiot's Guide to Improving Your Credit Score and the Complete Idiot's Guide to Value Investing. In addition she focuses on retirement issues including the Complete Idiot's Guide to Social Security and Medicare, the Pocket Idiot's Guide to Medicare Part D, and Working After Retirement for Dummies. As a co-author of the Complete Idiot’s Guide to the Federal Reserve, she translated the daunting world of the Federal Reserve and Fedspeak. As author of the Complete Idiot’s Guide to Social Security she created what reviewers call, “the be-all, end-all book when it comes to everything you ever wanted to know about Social Security and weren't afraid to ask.” She simplifies the sometimes overwhelming topic of tax breaks and deductions in the Complete Idiot’s Guide to Tax Breaks and Deductions. Reviewers wrote about her book Complete Idiot’s Guide to the Politics of Oil, “This book cuts to the chase and clearly spells out the bottom line on U.S. foreign policy. You can't spell ‘FOREIGN POLICY’ without the letters ‘O’ ‘I’ & ‘L’. The ‘Terrorism and Oil’ chapter should be required reading in our schools." Lita’s work to help people navigate the complex world of financial management and help people develop wise financial strategies to improve their current situation as well as plan for their future needs includes Streetwise Retirement Planning: Savvy Strategies and Practical Advice for a Secure Financial Future, Complete Idiot’s Guide to Accounting and Teach Yourself Retirement Planning in 24 Hours. She was the Content Director for a financial services website, MostChoice.com and managed the web site Investing for Women. She has worked as a newspaper reporter and magazine editor. After getting her MBA degree, she served as associate director of development for President Jimmy Carter’s international programs at The Carter Center. She is currently in the process of completing work toward her Certified Financial Planner designation and is a member of the Financial Planning Association. 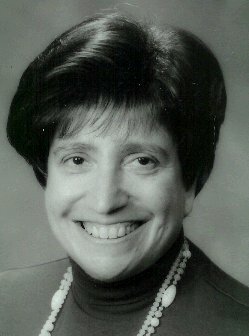 Copyright(c) 2003 Lita Epstein. All rights reserved.